Finally!! Not only a food ration that tastes great, but is also very nutritious. 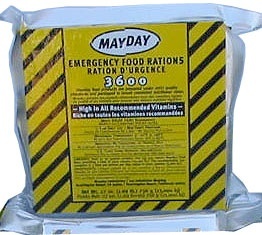 Our 3600 calorie Mayday food bars are approved by the U.S. Coast Guard as well as the Canadian Transport Department and have a five year shelf life.